Amnesty International has urged the Iraqi authorities to prevent the forcible return to Iran of several members of the Ahwazi Arab minority amid fears that they would be at serious risk of torture and other human rights violations in Iran. Two recognized refugees, Shahhed Abdulhussain Abbas Allami and Saleh Jasim Mohammed al-Hamid, are currently being detained in Basra prison, while a third man has already been transferred to the custody of Iranian officials in Iraq. 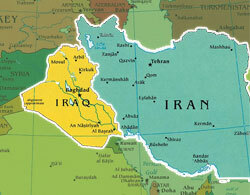 At least three other Ahwazi Arabs, all members of the same family, are also at serious risk. They are believed to have been detained by the Iraqi authorities at the request of the Iranian government because their father is an Iranian political activist, currently exiled. Two members of this family, both aged under 18, have already been handed to Iranian officials in Iraq and their subsequent fate is unknown. “The Iraq authorities must not allow these members of Iran’s Ahwazi Arab minority to be sent back to Iran,” said Malcolm Smart, Amnesty International’s director for the Middle East and North Africa. States are not permitted to return individuals to countries where they would be at risk of torture or other serious human rights violations. Human rights lawyer Nasrin Sotoudeh has been jailed for 11 years on charges of “acts against national security”, “anti-regime propaganda” and belonging to the Centre for Human Rights Defenders. The charges relate to her human rights work after the country’s disputed 2009 presidential elections. 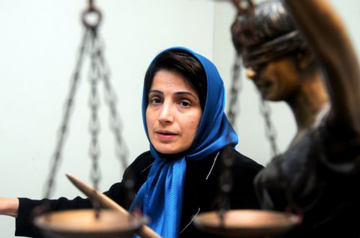 It appears that Sotoudeh may not yet have been told the verdict and sentence imposed on her. Journalist Shiva Nazar Ahari had her four-year prison sentence imposed for “acts against national security” and other charges, confirmed by an appeal court on Sunday. She may also face flogging; it remains unclear whether this part of her original sentence, subsequently converted to a cash fine, has been reinstated. “The sentences imposed on Nasrin Sotoudeh and Shiva Nazar Ahari are outrageous and make a mockery of justice,” said Malcolm Smart, Amnesty International’s director for the Middle East and North Africa. Iran has arrested about 70 Christians since Christmas in a crackdown that demonstrates the limits of religious tolerance by Islamic leaders who often boast they provide room for other faiths. The latest raids have targeted grass-roots Christian groups Iran describes as “hard-liners” who pose a threat to the Islamic state. 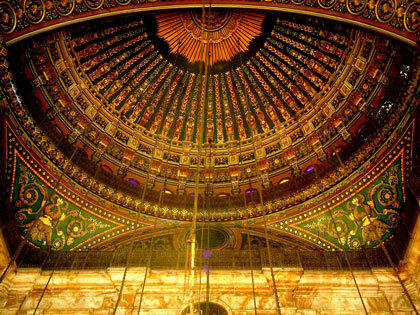 Authorities increasingly view them with suspicions that range from trying to convert Muslims to being possible footholds for foreign influence. 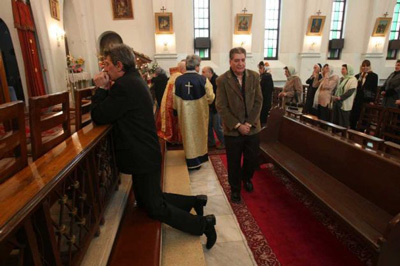 Christian activists claim their Iranian brethren are being persecuted simply for worshipping outside officially sanctioned mainstream churches. Caught in the middle is the small community of Iranian Christians who get together for prayer and Bible readings in private residences and out of sight of authorities. They are part of a wider “house church” movement that has taken root in other places with tight controls on Christian activities such as China and Indonesia. Iran’s constitution gives protected status to Christians, Jews and Zoroastrians, but many religious minorities sense growing pressures from the Islamic state as hard-edged forces such as the powerful Revolutionary Guard exert more influence. 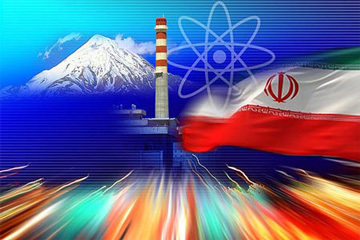 MirHossein Mousavi, Iranian opposition leader expressed defiance in the face of recent threats from Islamic republic government figures and warned the establishment that such propaganda would only backfire. 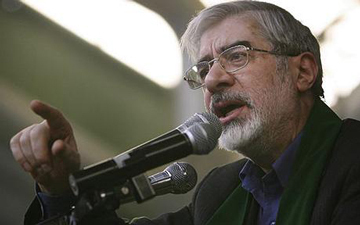 In a report on Kaleme website, Mousavi, the chief challenger of Mahmoud Ahmadinejad’s victory in the 2009 elections, condemned the recent government statements and described them as worn out tactics used by totalitarian regimes such as Soviet Union in the Stalin era. Mousavi maintained that the “unfair content” of such attacks makes them “ineffective” and will make them backfire. He went on to add that such attacks merely attest to the “legitimacy and vitality” of the Green Movement. Mousavi also added that this kind of publicity along with continued crack down and arrests will eventually make people lose faith in reform in the framework of the current constitution. Mehdi Karroubi also responded to the recent government attacks earlier saying he is more than ready to stand in an open and public trial so that people would get a chance to hear both sides and judge for themselves. Jailed Iranian lawyer, Nasrin Sotoudeh was sentenced to 11 years in prison as well as 20 years ban from travel abroad and from legal practice. Her husband, Reza Khandan informed the Human Rights Reporters Committee that they now have 20 days to appeal the sentence. Reza Khandan also added that Sotoudeh was given one year in prison for “propaganda against the regime while for the two other charges of “activities against national security and failing to adhere to Islamic hijab (head covering) in a filmed speech” she was given five years each. Khandan reported that her wife was very distressed over the heavy sentence that she has received. Nasrin Sotoudeh, whose practice mainly focused on human rights violation cases, was arrested on September 4 and has been in Evin Prison since. She has gone on hunger strike twice to protest against her inappropriate treatment in jail and the legal proceedings of her case. Her arrest has been protested by several human rights activists and organizations both in Iran and abroad. The most recent protest was a three-day sit-in organized by seven Iranian women activists including Nobel Peace laureate, Shirin Ebadi in front of the United Nations Office at Geneva on December 19. On the third day, UN High Commissioner for Human Rights, Navi Pillay issued a letter addressed to Ebadi stating that she will follow up on Sotoudeh’s case and other Iranian political prisoners through all legal channels open to her and her office.